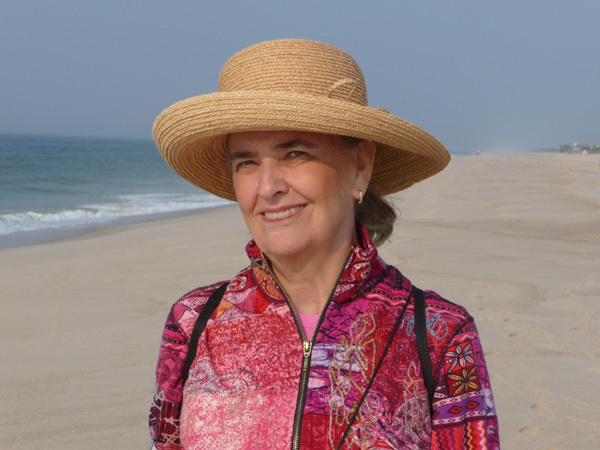 Yesterday was our 44th wedding anniversary. 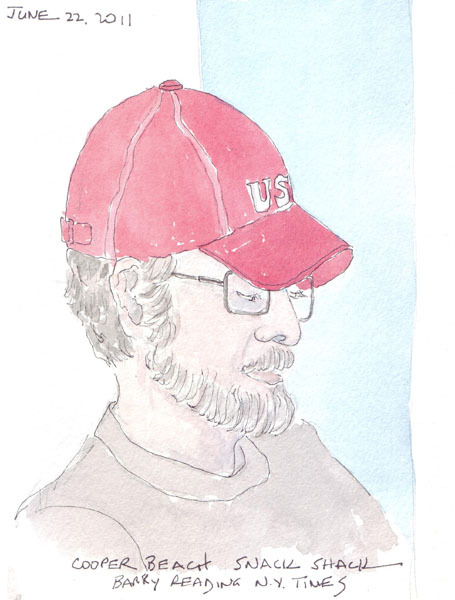 This is a quick painting that I did of my husband when we were at the beach last week. 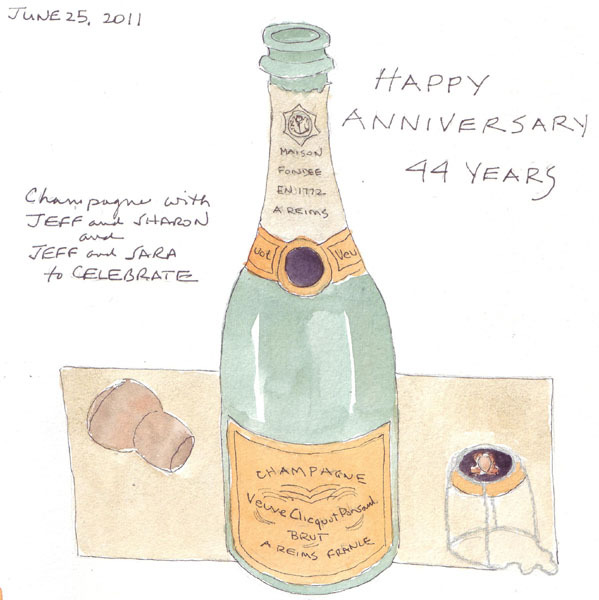 And the second page is the bottle of champagne that we consumed with friends on our anniversary yesterday. There were 3 couples at the beach last week and a total of 144 years of marriage among us! 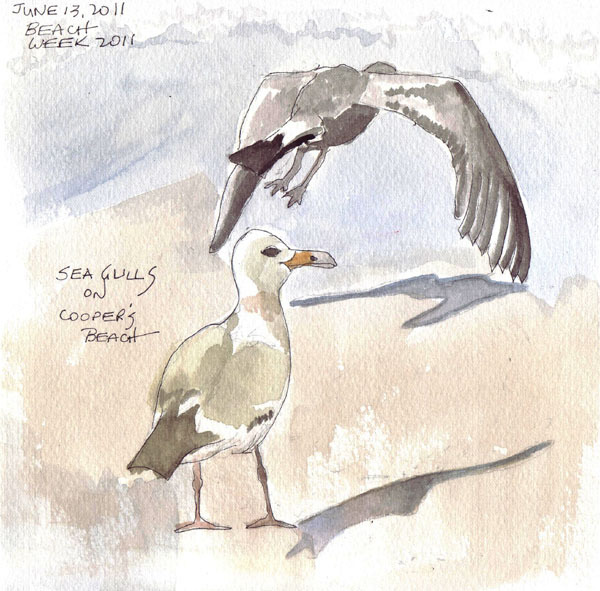 I sketched and painted the sea gulls from two of the reference photos I posted here last week. 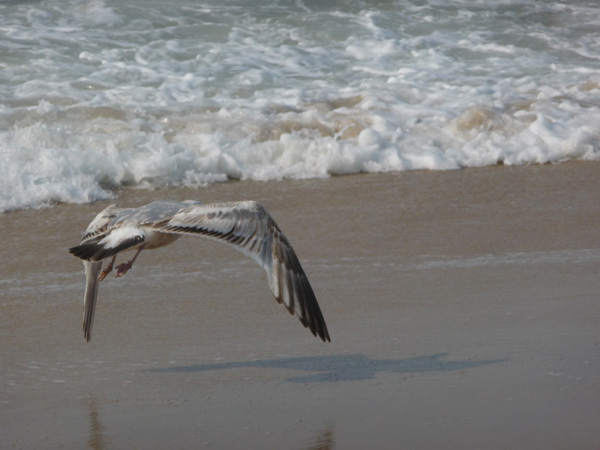 Over the summer I become obsessed with getting photos of them as they start moving away from me and then take off and fly. Their wings are soooooo long. Stay tuned for more photos and drawings next week as we return to the beach. I found my next book to recycle as a Summer sketchbook. 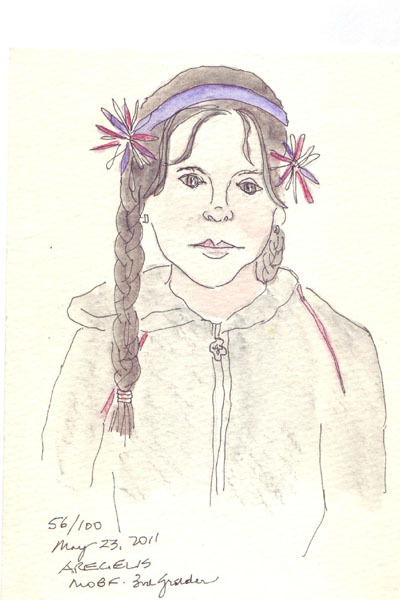 This Summer I recycled a book called Watercolor Painting is Fun with 140 lb. 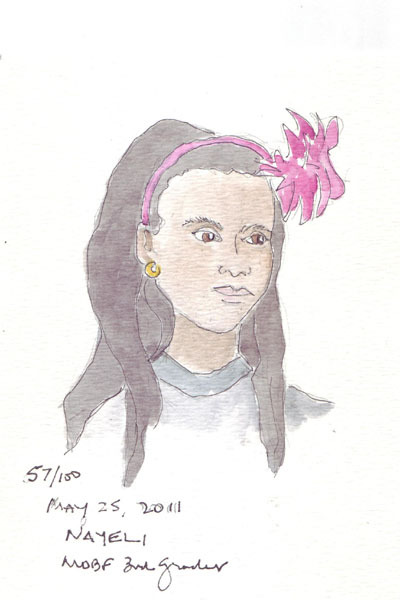 Fabriano soft press watercolor paper. 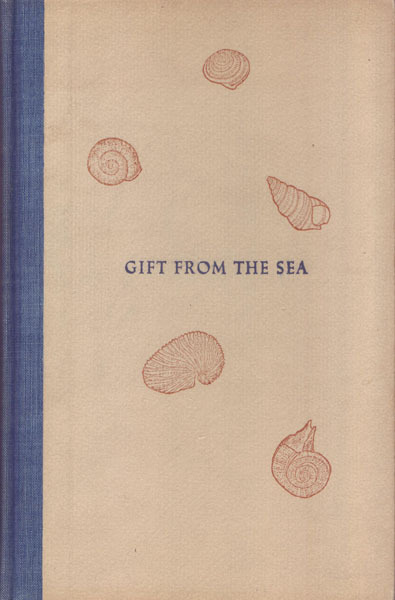 My next book, purchased for $1.00 is called Gift from the Sea, by Anne Morrow Lindbergh (pub. 1955). 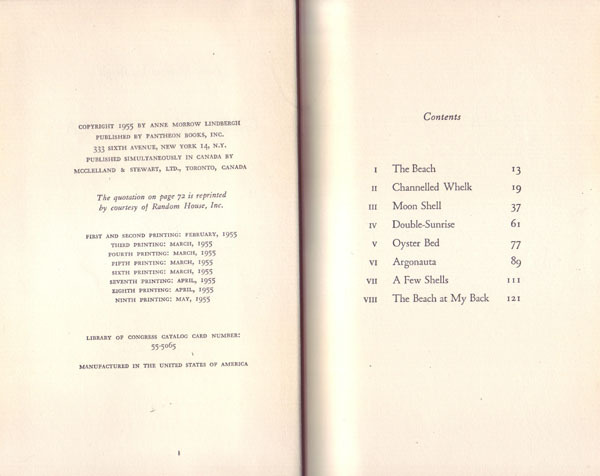 I scanned the cover and Table of Contents below. 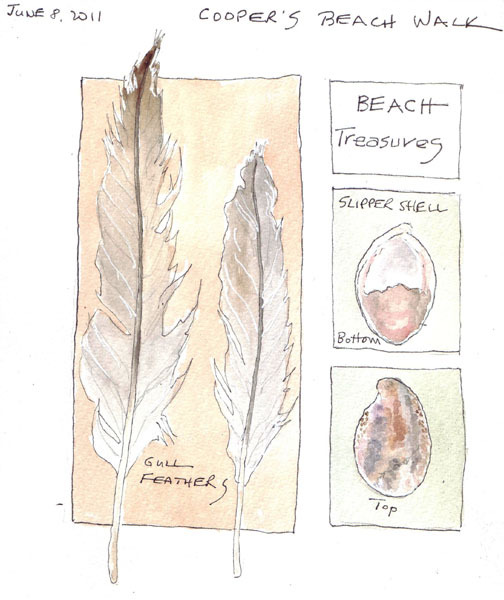 Isn't it perfect for the type of journal pages that I love to create at the beach? But before I recycle it, I need to read it! 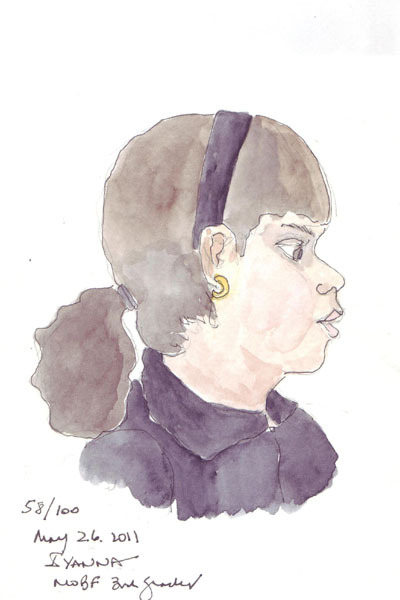 I am still working on my Carla Sonheim 100 Faces Drawing Lab project - and several weeks ago sketched 3 third graders during a brief, 10 minute, orientation to their local Barnes and Noble Children's Dept. I was with different classes each morning for 3 sessions, so these 3 were sketched on sequential days and then painted at home. My Own Book Fund is a volunteer activity of mine, and we visit 3rd graders to discuss reading and books, then meet them at a local Barnes and Noble where they each purchase books totaling $50, and end by visiting their class one-two weeks later for presentations about their favorite new book. They are so excited and so cute, and this year I think I was attracted to girls with great hair and bows and/or head bands. My favorite report this year (not one of these 3 girls) was the student who stood up and told me that she was going to compare and contrast the Dork Diaries with the Diary of a Wimpy Kid - both very popular series with this age group. And then she presented a number of conclusions. Impressive! Our beach week ended yesterday, and I have two more journal pages to post - both done at the end of our 2 mile early morning beach walks. We haven't figured out why there is "feast or famine" finding shells on the beach, even when we are there around low tide. My husband and I LOVE walking the beach early in the morning and see only occasional dog owners and joggers during the 2 mile strolls. We saw more crab shells like the one I posted earlier, but still can't identify it. And we always see several skates and horseshoe crabs that have washed up. 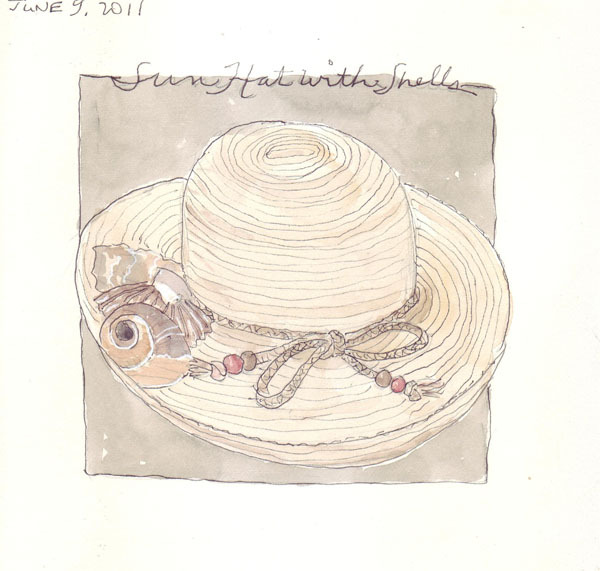 This is my straw hat - with several shells from the morning walk resting on the brim. 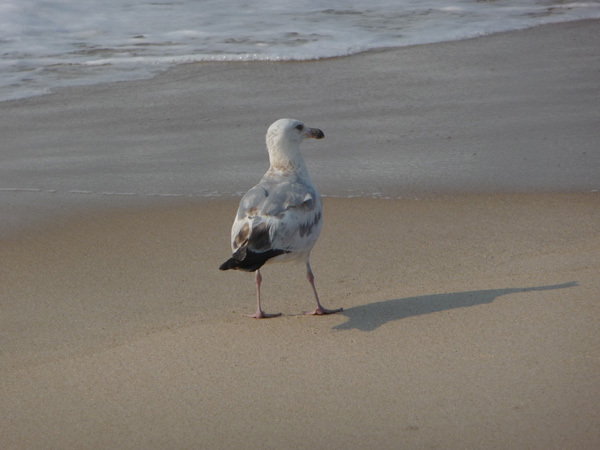 I'm amazed that the sea gull's really long wings, fold up and are barely visible on the gulls. 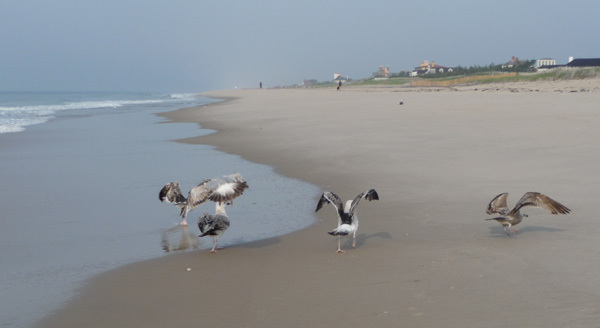 I brought these photos home to do some summer sea gull drawings - which I find almost impossible to draw on the beach. As soon as I walk toward them, they scurry off and as I get closer they look like a gigantic plane heading faster and faster down the runway until they are eventually airborn.